In an ever-changing, incomprehensible world the masses had reached the point where they would, at the same time, believe everything and nothing, think that everything was possible and that nothing was true…. Mass propaganda discovered that its audience was ready at all times to believe the worst, no matter how absurd, and did not particularly object to being deceived because it held every statement to be a lie anyhow. The totalitarian mass leaders based their propaganda on the correct psychological assumption that, under such conditions, one could make people believe the most fantastic statements one day, and trust that if the next day they were given irrefutable proof of their falsehood, they would take refuge in cynicism; instead of deserting the leaders who had lied to them, they would protest that they had known all along that the statement was a lie and would admire the leaders for their superior tactical cleverness. Nothing perhaps illustrates the general disintegration of political life better than this vague, pervasive hatred of everybody and everything, without a focus for its passionate attention, with nobody to make responsible for the state of affairs—neither the government nor the bourgeoisie nor an outside power. It consequently turned in all directions, haphazardly and unpredictably, incapable of assuming an air of healthy indifference toward anything under the sun. The antisemites who called themselves patriots introduced that new species of national feeling which consists primarily in a complete whitewash of one’s own people and a sweeping condemnation of all others. The true goal of totalitarian propaganda is not persuasion, but organization of the polity. … What convinces masses are not facts, and not even invented facts, but only the consistency of the system of which they are presumably part. Before mass leaders seize the power to fit reality to their lies, their propaganda is marked by its extreme contempt for facts as such, for in their opinion fact depends entirely on the power of the man who can fabricate it. Men have been found to resist the most powerful monarchs and to refuse to bow down before them, but few indeed have been found to resist the crowd, to stand up alone before misguided masses, to face their implacable frenzy without weapons and with folded arms to dare a no when a yes is demanded. Hannah Arendt (1906 – 1975) was a German-born Jewish American political theorist. She escaped Europe during the Holocaust, becoming an American citizen. 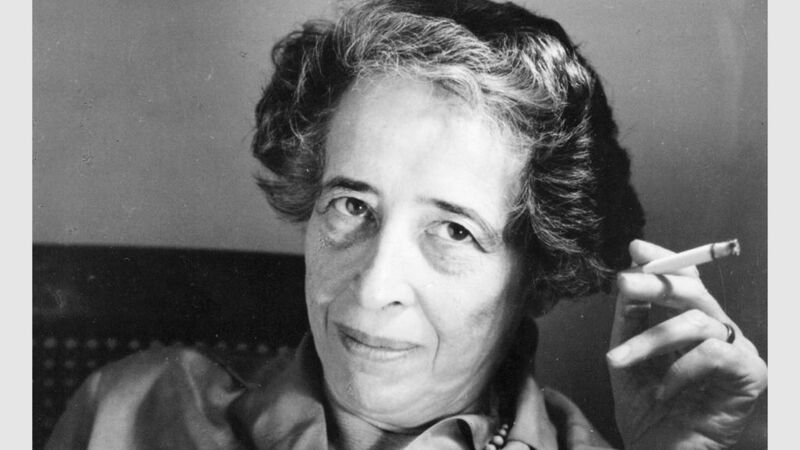 Arendt’s first major book was The Origins of Totalitarianism (1951), which traced the roots of Stalinism and Nazism in both antisemitism and imperialism. In it, Arendt argues that totalitarianism was a novel form of government, different from other forms of tyranny in that it applied terror to subjugate mass populations rather than just political adversaries. We are seeing this play out daily. She nailed it. This manipulation is known…and still it works. This entry was posted on January 31, 2017 by Vox Populi in Opinion Leaders, Social Justice, War and Peace and tagged Alt-right, alternative facts, Donald Trump lies, Donald Trump lying, Hannah Arendt, In the Post-Truth World, On the use of lies as a political strategy, Steve Bannon, The Origins of Totalitarianism by Hannah Arendt.